My journey in search of Bowhead whales in the Canadian Arctic began in Ottawa, the capital of Canada. 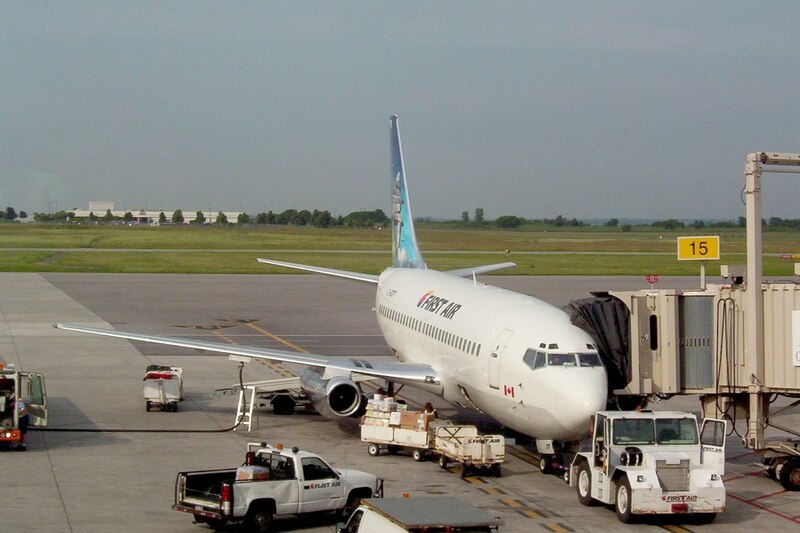 There, I boarded a First Air jetliner headed for Iqaluit on Baffin Island. 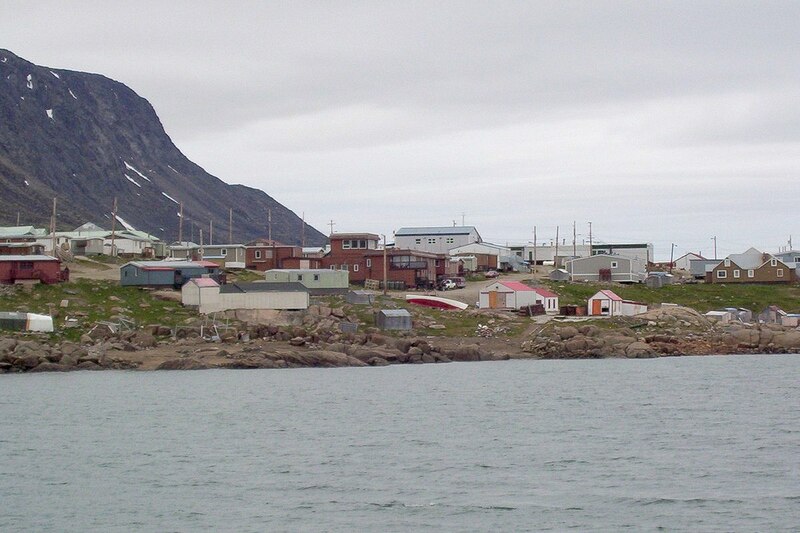 Iqaluit is located in Nunavut on the south coast of Baffin Island. On the summer day that I arrived, it was a pleasant sunny day. 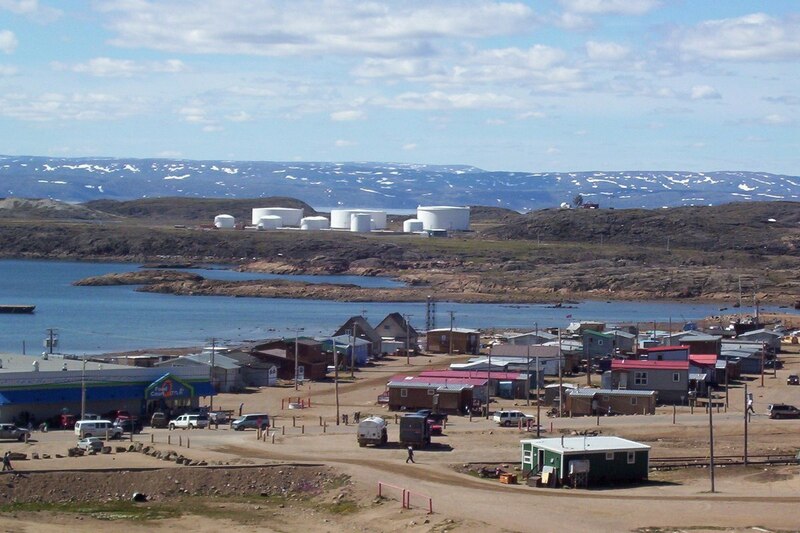 In the winter, however, Iqaluit is considered Canada’s coldest city. 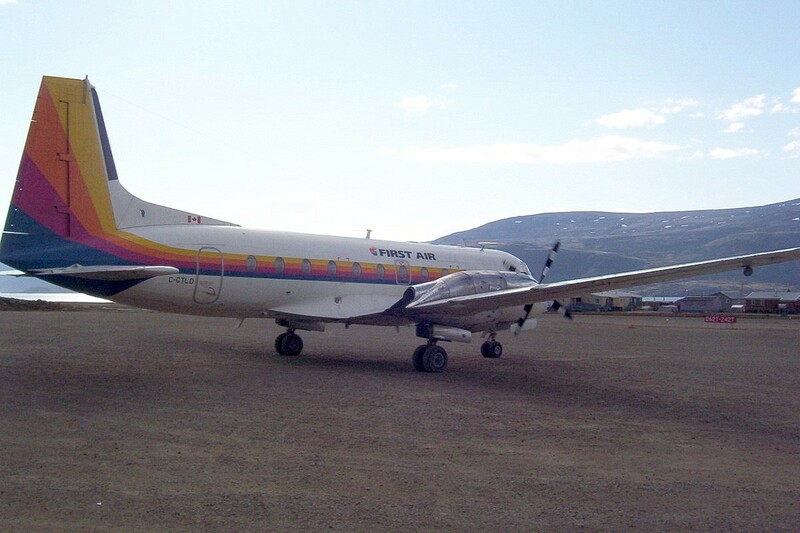 Awaiting a connecting flight to Pangnirtung, I took a quick walk about the city. 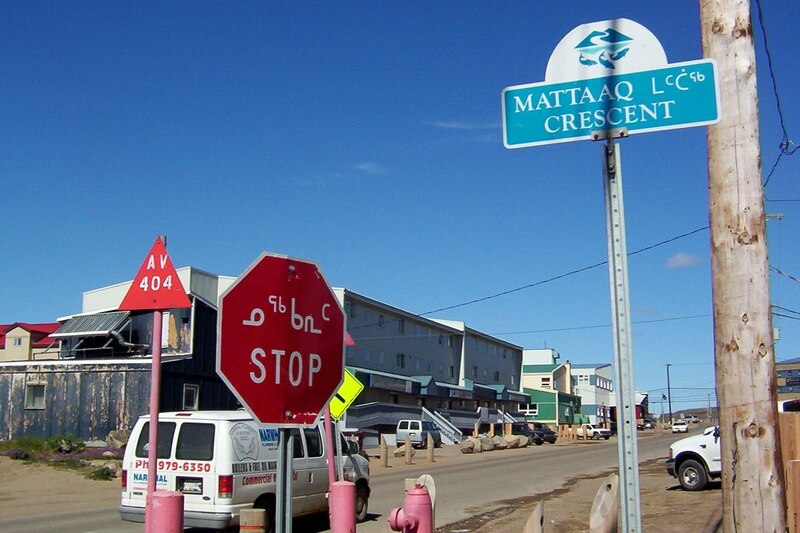 It was interesting for me to see a stop sign with the Inuktitut language on it. It is one of the official languages. 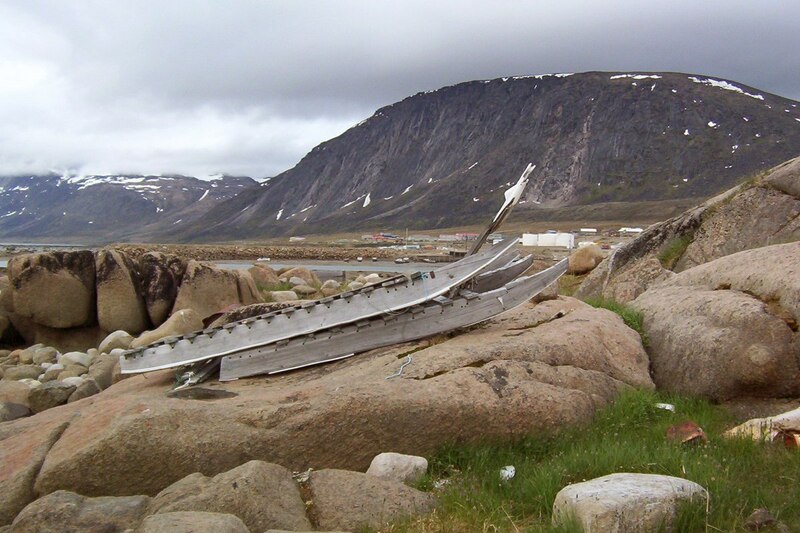 From Iqaluit, I finally boarded a First Air prop plane and flew north on the east coast of Baffin Island to the Inuit hamlet of Pangnirtung. 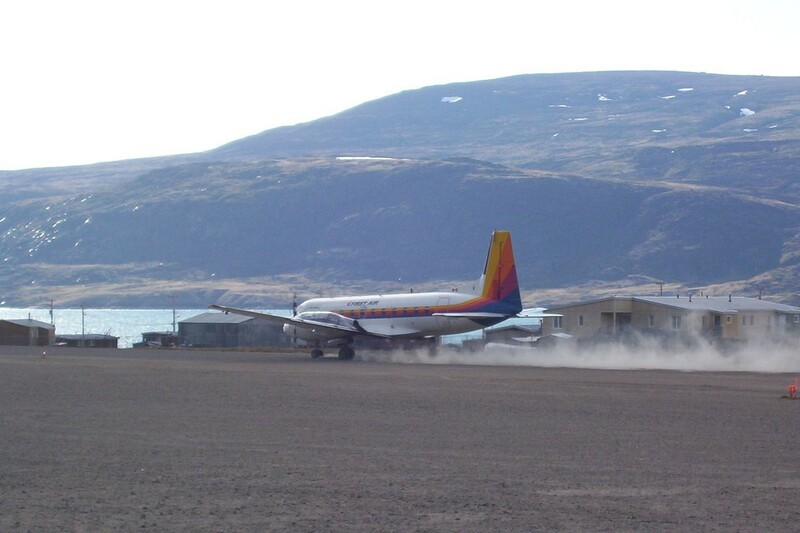 The tight landing at Pangnirtung on the short dirt runway was a moment I shall not soon forget. 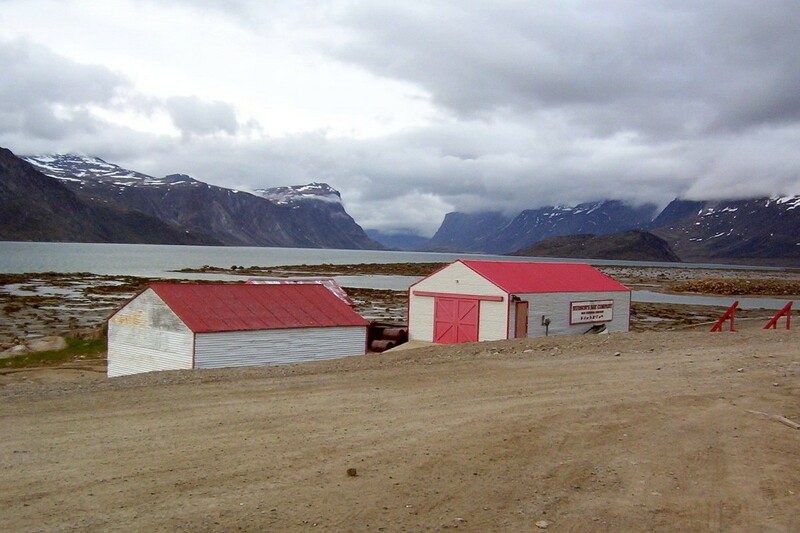 Pangnirtung, or Pang as the local people call it, is located on the north coast of the Pangnirtung Fjord. 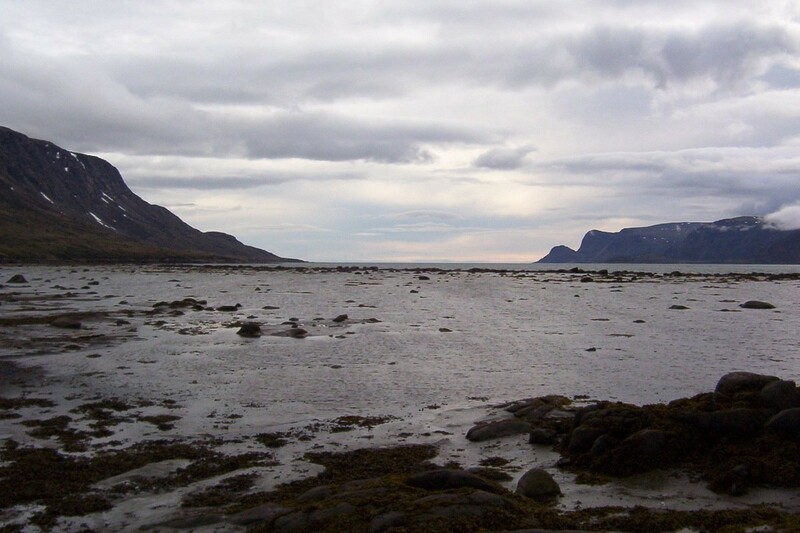 That fjord merges into Cumberland Sound, which is on the distant horizon, and is located across the water from Greenland. I visited Pangnirtung in the summer when the sun never sets. That is why it is referred to as “The Land of the Midnight Sun”. In the winter, when this area experiences three and half months of total darkness, it is said to be experiencing the “Polar Night”. 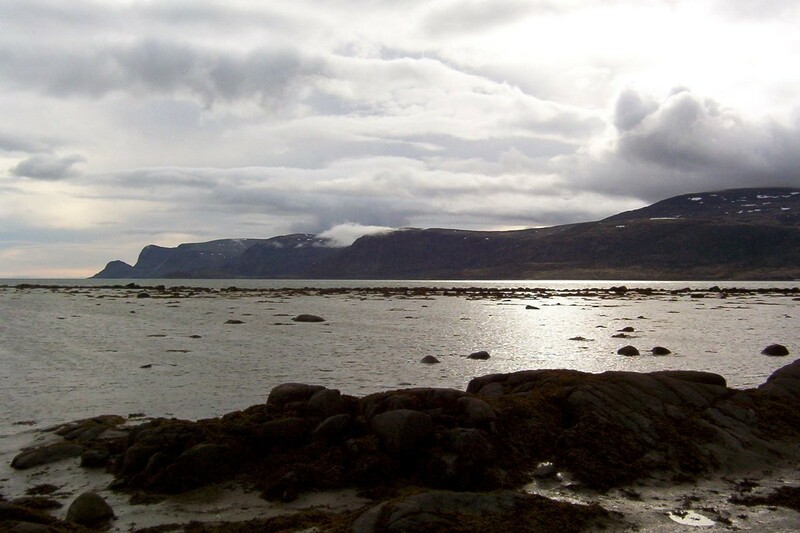 Pang sits close to the ocean shoreline, and behind it, snow was still visible on the mountains. A number of fishing boats, used for fishing turbot, lay stranded awaiting the return of high tide. Beyond fishing, the residents here also engage in stone carving, traditional arts, printmaking, and even weaving. Along the main street, an Inuit mother was making her way home with her child in an amauti, a baby carrier worn by the Inuit women of the eastern Arctic. For me, it was hard to adapt to the endless sunlight. It took close to two weeks to sort things out and get a good sleep. 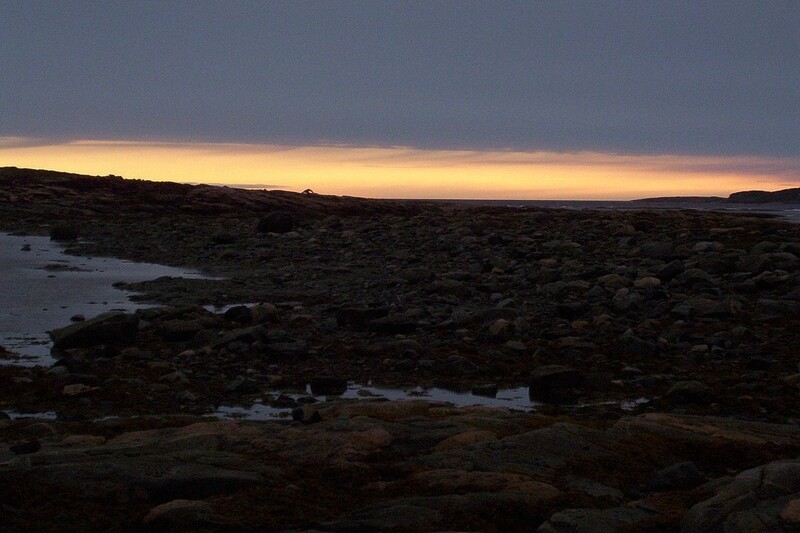 On my first night in Pang, the endless daylight was a problem for me, but not for the local Inuit kids even at midnight. It was as if time stood still. I soon learned that in the Land of the Midnight Sun, a wristwatch and time are actually quite irrelevant. Knowing that the Polar Night would return soon enough, with its 24-hour days of total darkness, the people and kids in Pangnirtung were taking full advantage of every second of sunlight. With my camera in hand, I began to document the world around me. 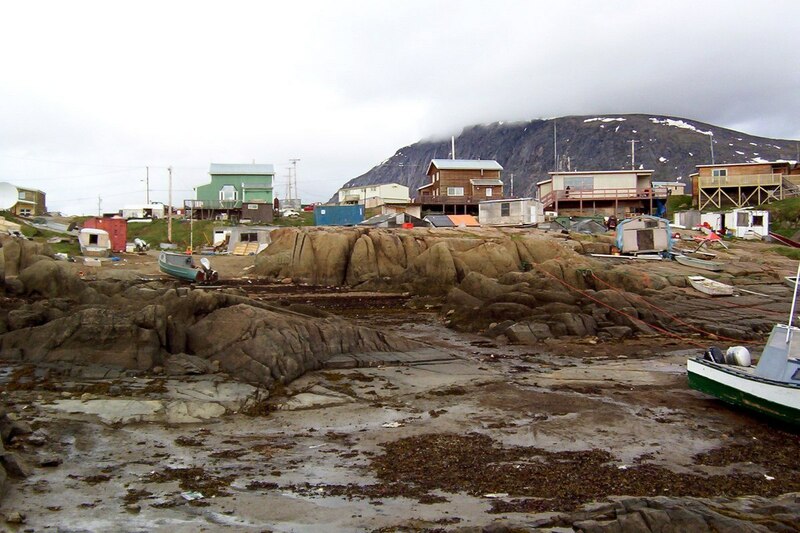 I had come to this hamlet to take part in scientific efforts to search for and locate Bowhead Whales in the Canadian waters off Baffin Island. As I learned firsthand on this trip, Bowhead Whales are one of the largest whale species that can be found in the Arctic Ocean. 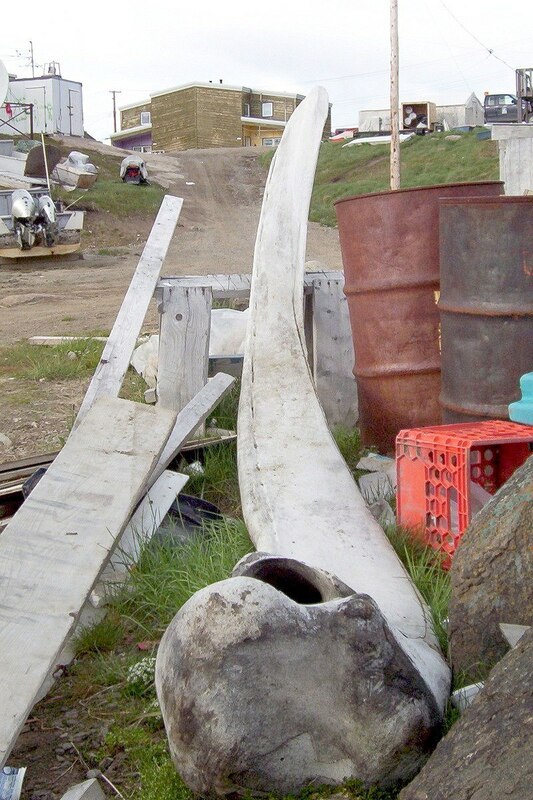 This massive Bowhead Whale jawbone in Pangnirtung gives you some idea of what I could expect when filming out on the ocean. 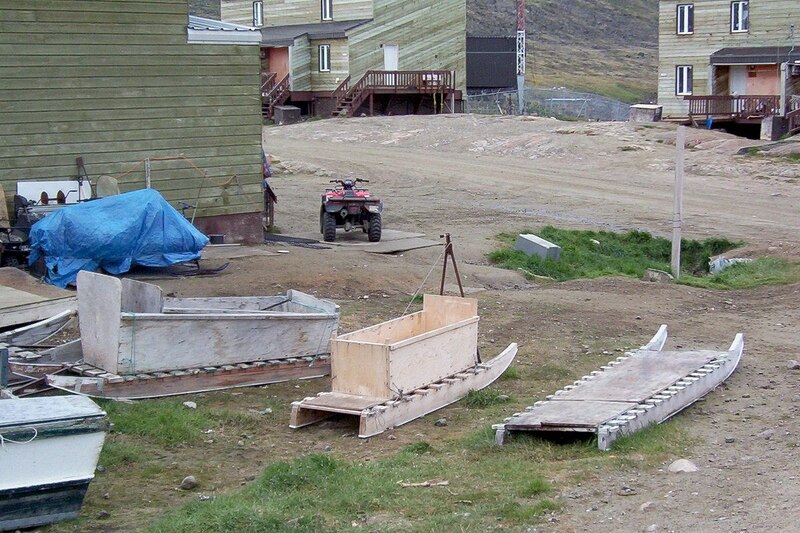 As I walked about the hamlet, I found many different types of wooden toboggans sitting idle on the summer grass. Snow on the distant hilltops in Auyuittuq National Park attests to the chill summer temperatures. 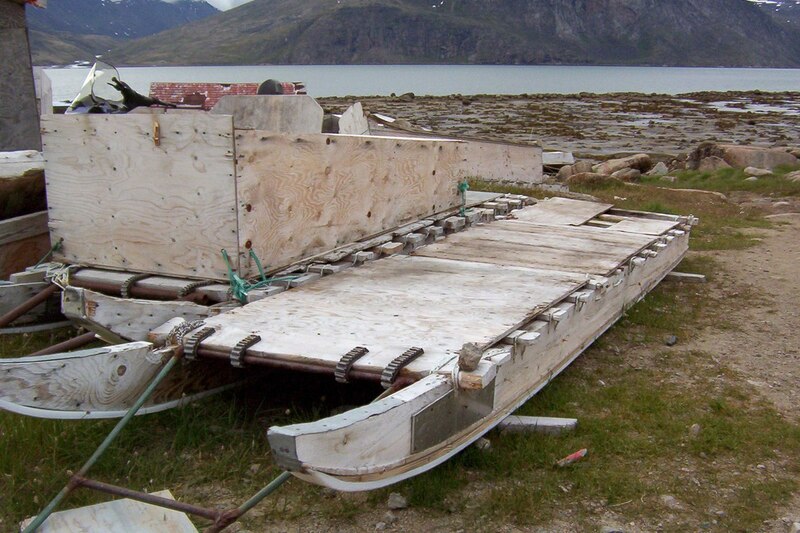 In the summertime, all-terrain vehicles rule the roads in Pangnirtung, while the toboggans sit awaiting the return of winter snow. 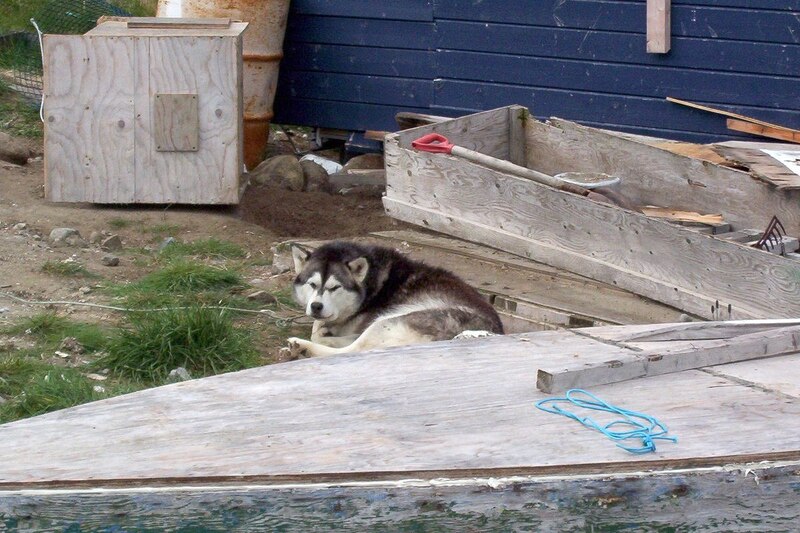 I wondered if this husky dog was eager for the snows of winter to return. 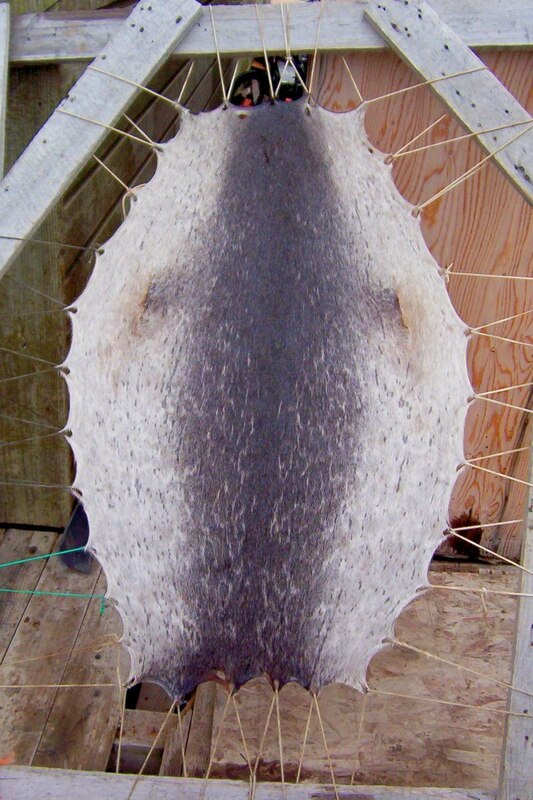 On one back street, I came across this ringed seal skin that had been stretched and left to dry in the traditional Inuit way. 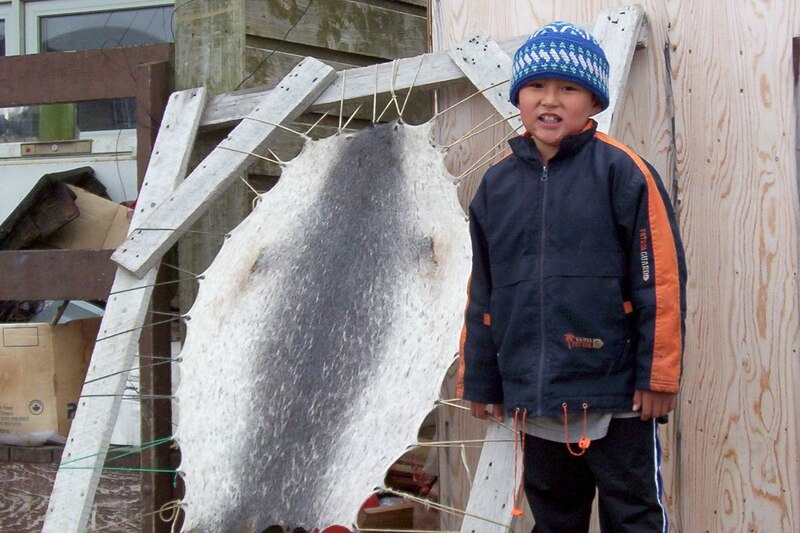 Along the way, a young Inuit boy gave me a smile as he stood beside a drying skin. Bowhead Whales grow to be very large, upwards of 21.2 meters long or 70 feet in length. They also live a very long life, often living beyond 200 years. As a result they are the longest-living mammals on the planet. 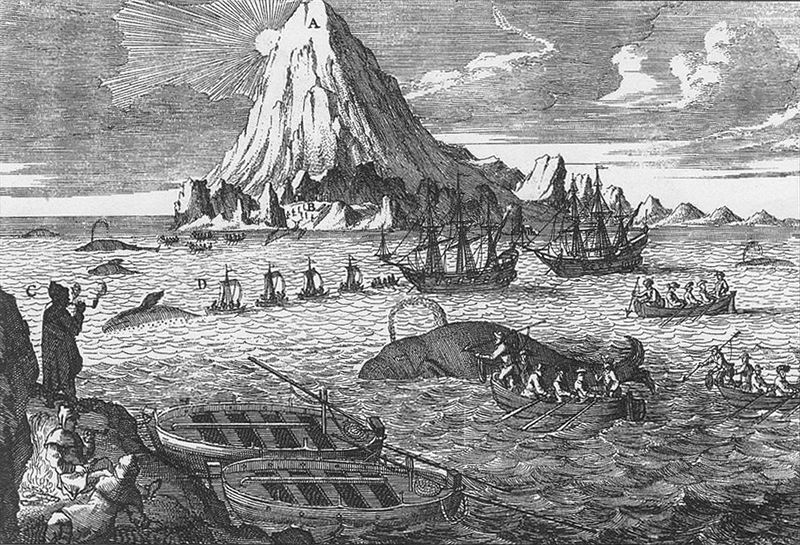 This 18th-century drawing of whaling in the Arctic gives you some idea of what life was like for both whalers and Bowhead Whales back in those days. 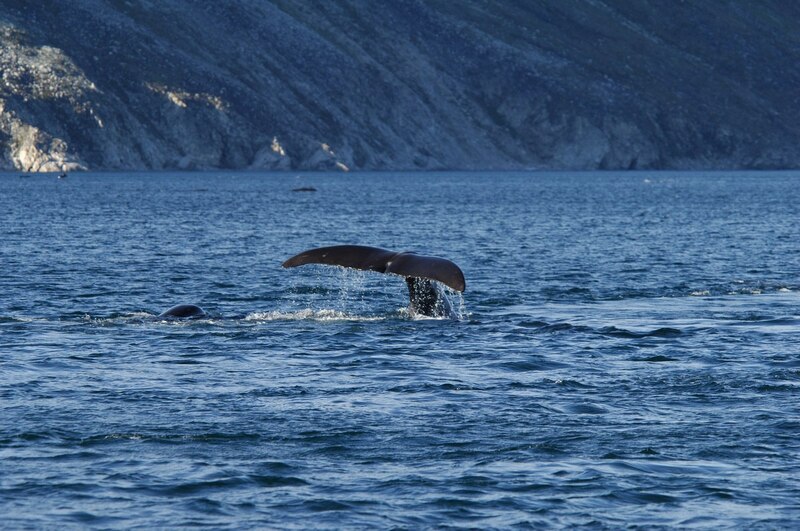 Today, Bowhead Whales are protected in Canadian waters by the Canadian Fisheries Act. 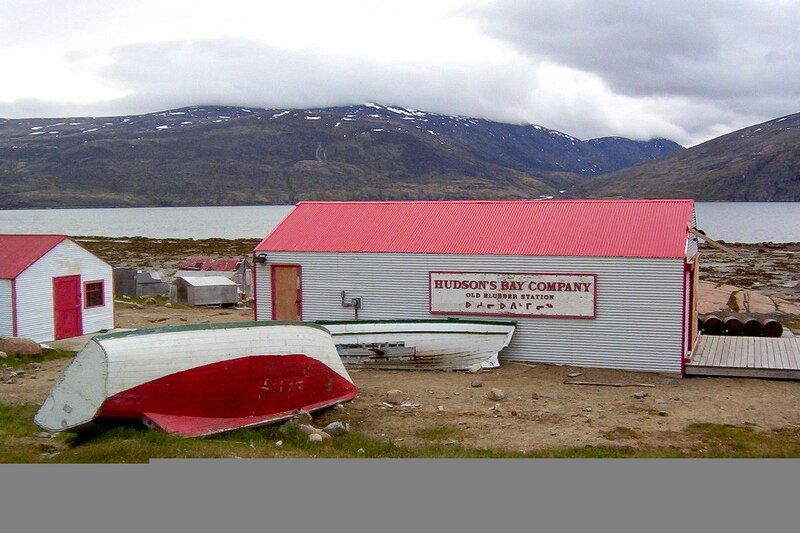 In 1921, the Hudson’s Bay Company built this blubber station in Pangnirtung. Along with the whale blubber, the station also traded with the local Inuit for the pelts of white fox. 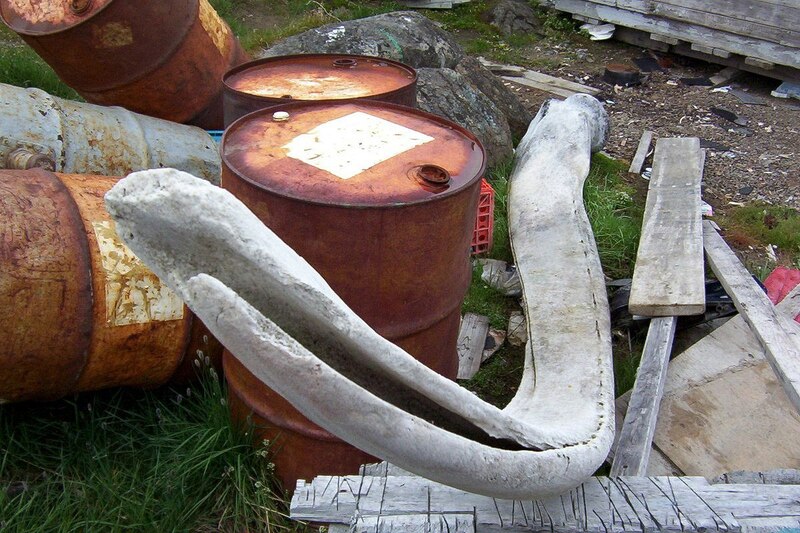 Whaling in Canada ended in the 1920’s, but still, a couple of the original Hudson’s Bay Company’s former whaling buildings remain in the hamlet. On that cloudy day, it seemed apt that I should find myself in the local cemetery perched where the hamlet meets the ocean. Endless wooden crosses stretched down to the water’s edge. 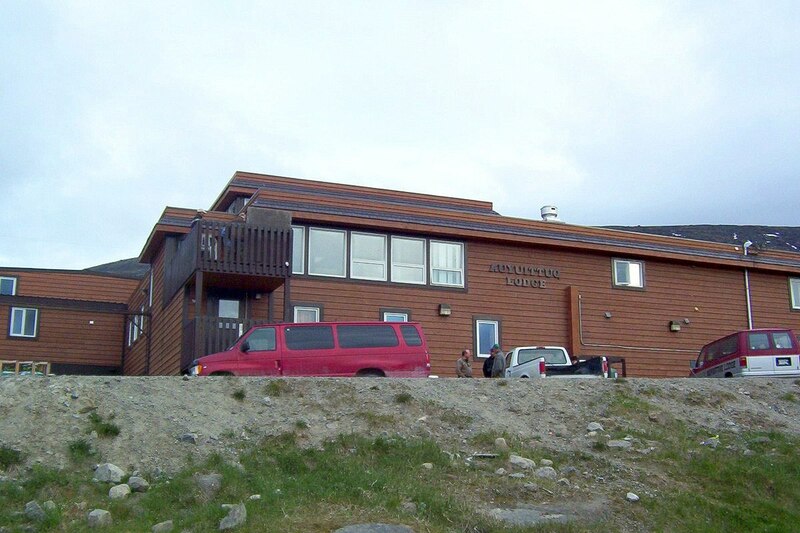 As the clock pushed 11 p.m., I decided to call it a day and headed back to the Auyuittuq Lodge in Pangnirtung. At five minutes after midnight, with the sun just above the horizon, there was no denying I was in “The Land of The Midnight Sun”. Yes, I only wish that I could’ve been with Bob to experience life in the Arctic. Sometime down the road, we plan to go back to those northern climes together. Hi Blake, Glad to read you liked our posting. 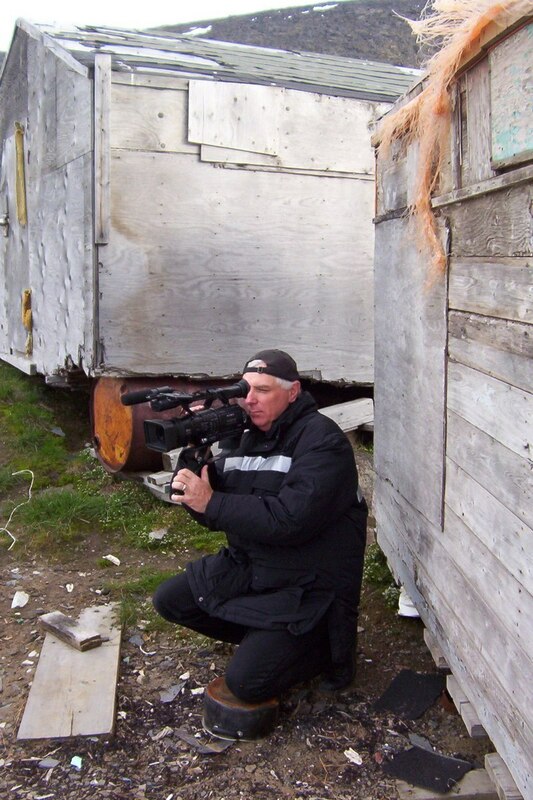 Checkout our recent Arctic posting.